Noor Salman, wife of Omar Mateen, is the only person charged in the June 2016 attack on the Pulse nightclub and faces up to life in prison if convicted. Mateen, 29, died in an exchange of gunfire with police at the club. 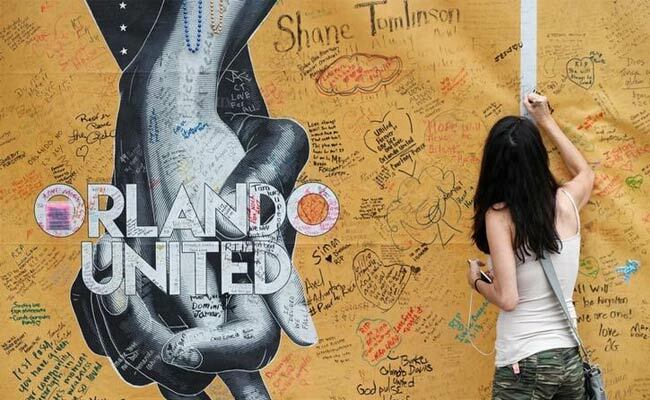 Orlando: The federal trial for the widow of the gunman who killed 49 people at a gay nightclub in Orlando, Florida, began on Thursday with the selection of jurors, who will decide whether she aided her husband in one of the deadliest U.S. mass shootings. Salman was at home with the couple's then 3-year-old son at the time of the attack. But prosecutors said she knew of her husband's plans to launch an attack and did nothing to stop it. Some protesters gathered outside the Orlando courthouse Thursday morning held posters encouraging a guilty verdict and calling for the death penalty. The trial could take as long as a month, court officers said. Although she initially denied the accusations, Salman later told federal investigators she knew that her husband was watching recruitment videos for Islamic State in Iraq and that he had purchased an assault rifle and examined three possible attack locations, they said in court documents. "The defendant aided and abetted her husband in this mass-murder and repeatedly lied to law enforcement during and after the attack in an effort to obstruct the FBI's ongoing investigation," they said in a court filing. Defense lawyers contend the U.S. government could not show any direct links between Mateen and Islamic State before the attack and has provided no evidence that Salman aided her husband. "It was Mateen, not Noor, who decided to attack the Pulse Night Club, Mateen who chose to drive to the club, Mateen who purchased the weapon and ammunition, and Mateen who alone carried out the attack," they said in court filings. Salman, 31, was indicted on two charges: obstruction of justice for alleged false statements to federal investigators and aiding and abetting Mateen in his attempt to provide material support to a terrorist organization. In December, the judge denied a request by Salman's attorneys to hold the proceedings outside of Orlando. Mateen opened fire shortly after the last call for drinks on the club's popular Latin night. He gunned down patrons on the dance floor and sprayed bullets at others hiding in bathroom stalls. Holding hostages during his standoff with police, Mateen claimed allegiance to a leader of the Islamic State militant group before he was fatally shot.